Uncertain of his future, his major, or his career, he had no idea where life would take him. To his great surprise, a single job helped him answer all three of those uncertainties. As a freshman back in 2014, Micah Paul Kulpinski got a job with UWGB-Athletics – he’s never looked back. Today, as a Broadcast Assistant working part-time for the Green Bay Phoenix, Micah not only enjoys his work, but finds great value in it. “If you’re looking for a stepping stone to sports broadcasting, then look no further,” he said. “A school like UWGB is the perfect place to start.” Despite UWGB playing in the smaller Horizon League, Phoenix basketball is broadcast by none other than ESPN. A production crew made up of students and one full-time supervisor at UWGB, are directly responsible for the feed ESPN shows the world on its network ESPN 3. So, while the lights shine brightly on UWGB’s basketball stars, an entirely different game takes place behind the scenes in the control room. The control room is the hub of all sports broadcast operations. To the ordinary fan, this humid atmosphere teeming with colorful language, five computers and four wall-mounted televisions may seem overwhelming, but Micah has learned to navigate the control room like a true professional. When working, Micah is either manning a camera, operating video replays or directing the show. Each of these positions require intense focus and concentration, and Micah has worked his way to the top of this chain of command. Best of all, the connectionshe’s made by doing so have placed him ahead of his competition. ESPN Looks Good on Resume. Although Phoenix Athletics live beneath the Green Bay Packers’ shadow, the fact that UWGB is home to several Division I sports teams, make it something of a miracle. Often, one major sports team dominates a market; surprisingly this is not the case with Green Bay. 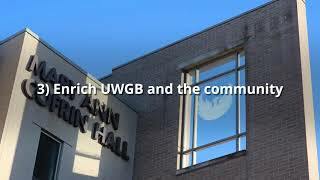 One could argue that the community’s following for UWGB’s successful women’s basketball team challenges the idea of a one-team city. Such teams and opportunities open the door for those looking to venture into sports broadcasting. Micah graduates in May with a Bachelor of the Arts in Communications, with emphases in Mass Media and Public Relations. Today, he’s busy sharing his nice-looking resume. DillyDilly is a team of Seniors: Justis Tenpenney, Micah Kulpinski, Sidney McClain, and Lindsay Bries. Dilly Dilly loves to include humor, relevance and novelty in their stories. Their goal is to entertain while informing their audiences of newsworthy events. Previous Post - Previous post: Holy Cats! The Manitowoc Minute! Best of Luck to you in the future, Micah. Nice story. Nice article and great picture. I love seeing our grads succeed!